Comments: This model represents the short-body Aerobee 150, which had a true length of 241.8". The scale body tube is 9.09" long. 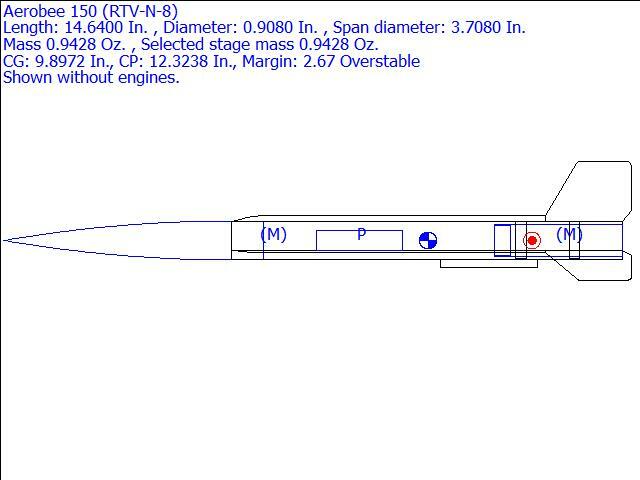 Carl @ SEMROC has agreed to add the correct-length 5.3" ogive to the Series-8 nose cone list. The original BARCLONE model was a semi-scale representation derived from the earlier semi-scale MMI vrsion, and thus had many incorrect dimensions. This model is much more true to scale. It also requires no additional ballast for stability. As with the other Aerobee-Hi models, this only represents the upper stage of a two-stage vehicle.